Dubai’s most fragrant souk in a titillating place to visit and offers an incredibly refreshing change to the ubiquitous mega-malls. 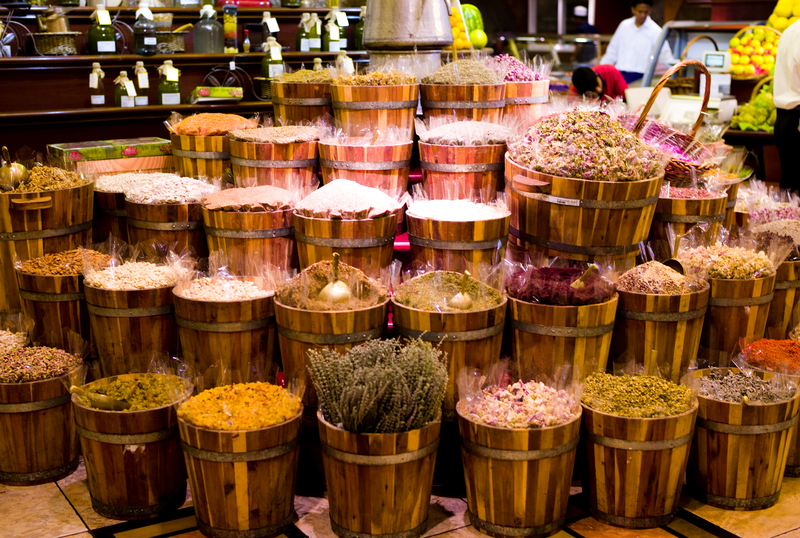 In a city where modernity is swiftly overriding all that is old and authentic, the Dubai Spice Souk, or Deidra Souk as it’s more commonly known, is a fantastic place in which to while away a few hours. Conveniently close to the city’s other famous bazaar, the Dubai Gold Souk , Deidra Souk brims with a variety of excellent wares, including a near endless multitude of spices, herbs, and tea. 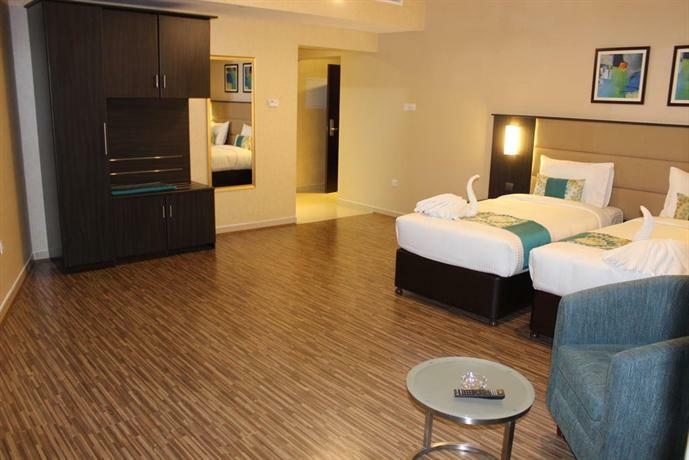 If you want to have a glimpse into the real side of Arabian life, then make sure you include a visit here to your Dubai itinerary. 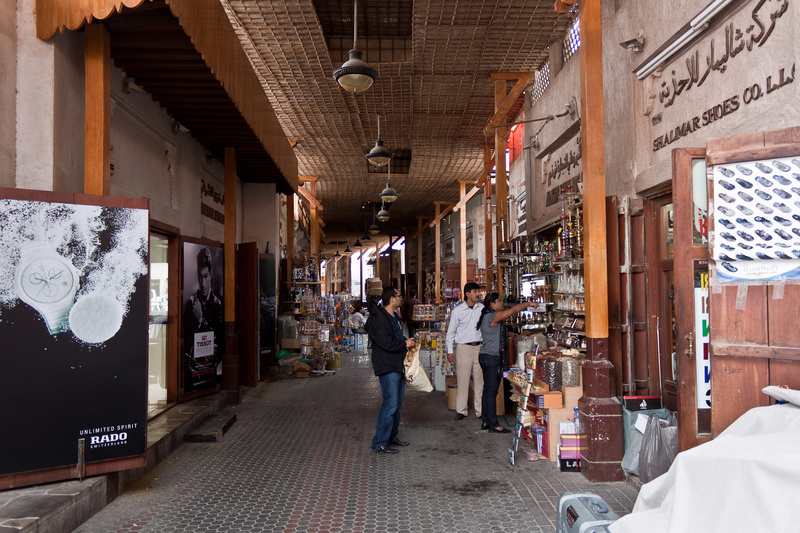 Deira is Dubai’s oldest suburb and the riverside hub where the first trading settlement began. After the implementation of extensive and often culturally catastrophic modernization of Dubai, this is pretty much all that is left which is ancient and authentic. If Dubai could be said to have an old town center, then Deidra, and its enticing bazaars, streets and laneways, is definitely it. While many resorts try to replicate the ‘look’ of exotic Arabia, the excessive sterility of many leaves visitors none the wiser as to what life, and the city, really looked like before it was all bulldozed and reconstructed. 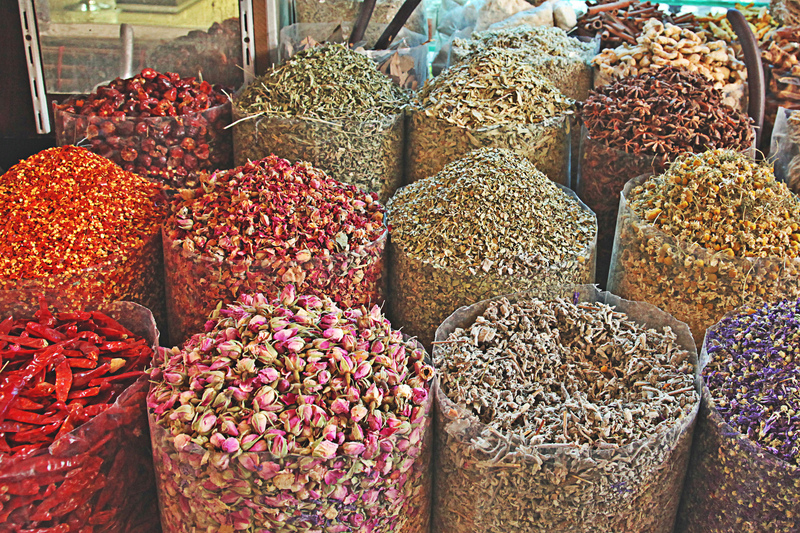 The smells, sights, and sounds of the Dubai Spice Souk are mesmerizing and offer a unique experience in this ultra-modern, bustling metropolis. 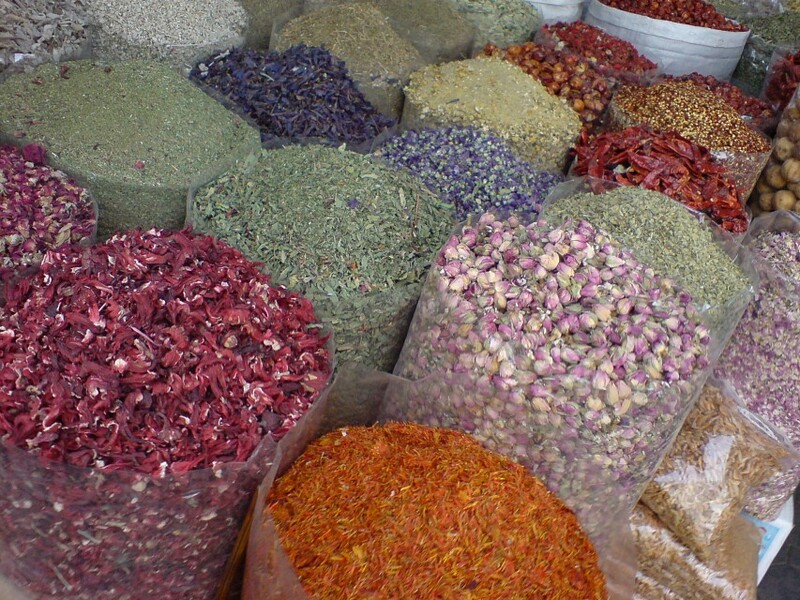 Unlike what its name may suggest, there’s much more to be bargained for in the Spice Souk, then spices. Local hand-made rugs, shawls; shoes, clothing; artifacts textiles, accessories, and household decoration wares make up a great portion of the bazaar, which is a collection of narrow laneways flanked by both open and closed-roof stores and stalls. There is no denying that the quality of the goods on offer nowadays is not nearly as high as what it once was. This is mainly due to the increase in supermarkets and bona-fide shops taking over most of the trade. 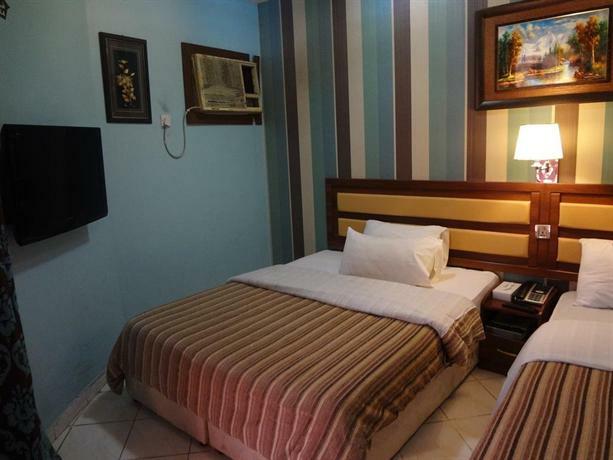 Nevertheless, there are still plenty of bargains and great stuff to be found here, and haggling for a good price is infinitely more fun that seeing your item scanned at a cash register. It all adds to the old Dubai experience. The most beloved aspect of shopping here is that you’ll get to meet hundreds of very friendly traders who specialize, and love, particular products. You can sit and share endless cups of chai with a rug maker, spice trader or a jeweler, and enjoy learning more about the product you intend to purchase. 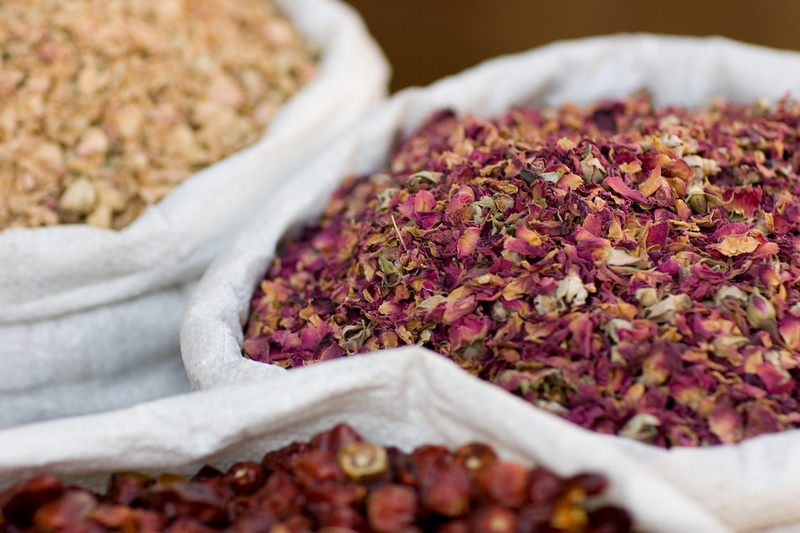 There will be teas to savoir, spices to smell, and perfumes to swoon over. If you manage to walk away without buying anything at all, then perhaps you ought to try harder. Be lured in by the enchanting cries of sellers, who will do their utmost to get your attention (without ever coming across as pushy) and, whatever you do, don’t forget to bring your camera. The souk, with its infinite rows of hessian sacks filled with colorful spices, is one of the most photogenic spots in the entire city. 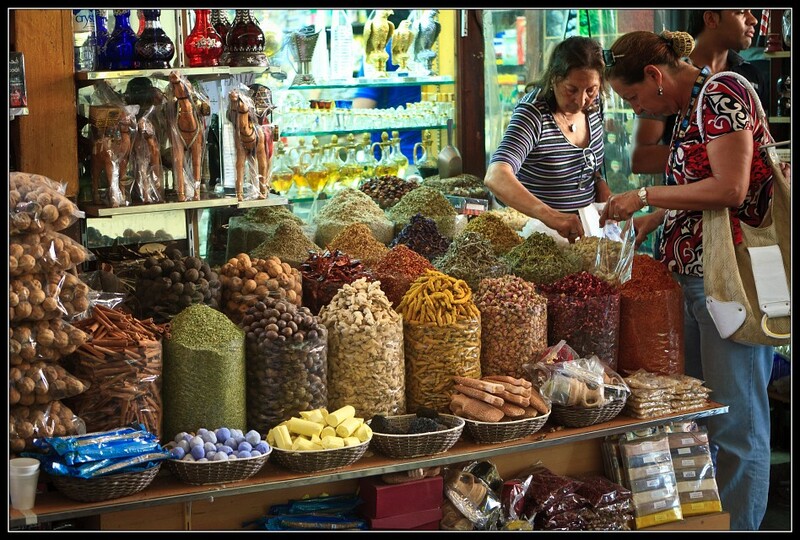 Once all of your senses are blissfully exalted, pop into the Gold Souk next door. This Aladdin cave of wonders is a glistening site, worth seeing even if glow-n-the-dark gold jewelry is not to your liking. Like the Dubai Spice Souk, this is still very much a working bazaar (as opposed to a mere tourist attraction) so you’ll also find random stalls selling all sorts of daily necessities. Although this bazaar is indeed very interesting, it may not hold your interest for very long. The latest addition of slightly annoying, fake-designer bags and watches can be a turn off. 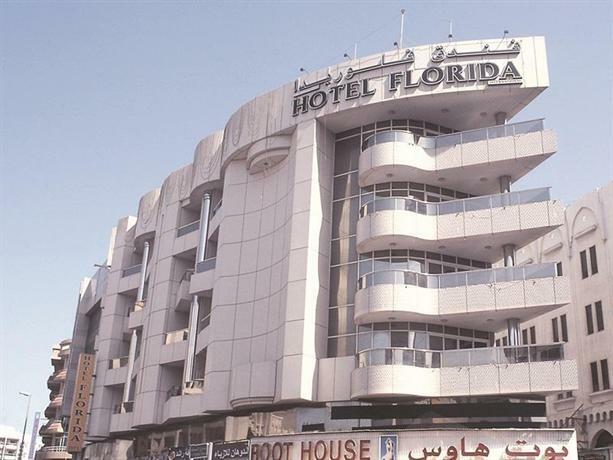 If you want to see a most authentic and thriving slice of Deira life, then you must not miss visiting the Deira Fish Market which you’ll find right on the riverfront, directly north of the gold and spice souks. The markets are open all day long but the most rewarding time to visit is at first light, when the colorful and loud trade between sellers and Dubai’s most revered chefs is truly awe-inspiring. 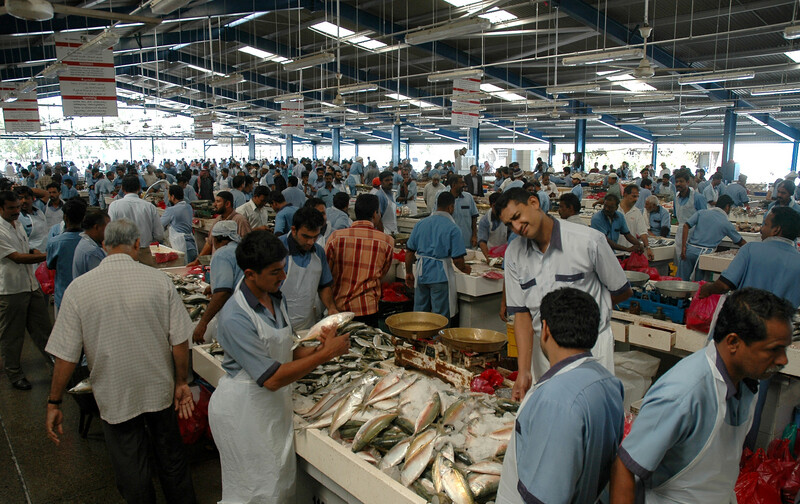 This market services the entire city but is soon to be replaced with a gigantic, and no doubt, more sanitized fish market in Al Hamriya Port, about 5kms to the north. 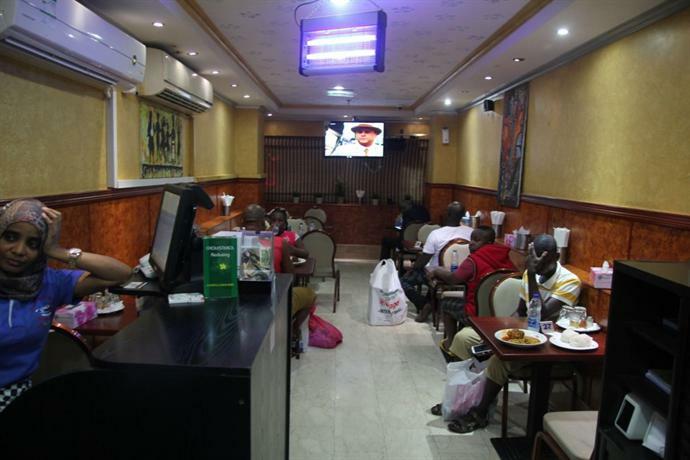 Various restaurant owners have capitalized on the popularity of the markets with tourists, yet do note that the eateries here are not necessarily the best in town nor are they, the best value for money. The best seafood in town is served in its most revered restaurants. Yet spending some time admiring the fresh catches, most of which you probably won’t even recognize, is a very entertaining thing to do. 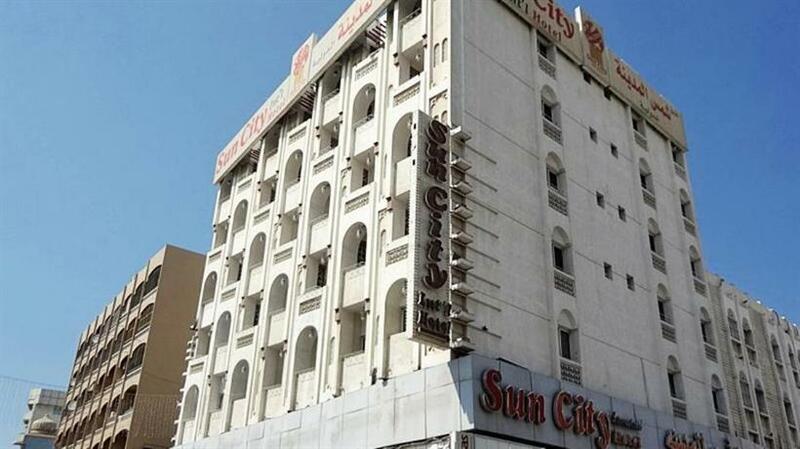 The Deira suburb is about 12kms north of Downtown Dubai and most conveniently reached by taxi if you’re short on time, or dhow boat for added fun. 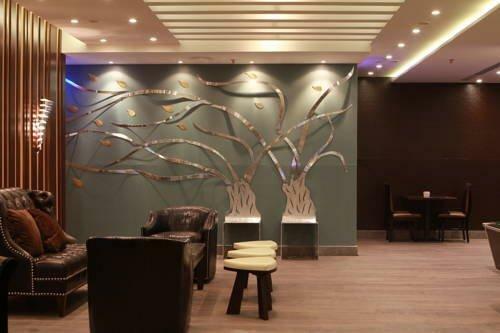 You can also reach the area by Metro, with convenient stop at Palm Deira (closer to the fish market) and Ras stations, which is right next door to the Dubai Spice Souk. If it’s excessively steamy you can also skip the walk between the two and hop back on the Metro for the one-stop ride.